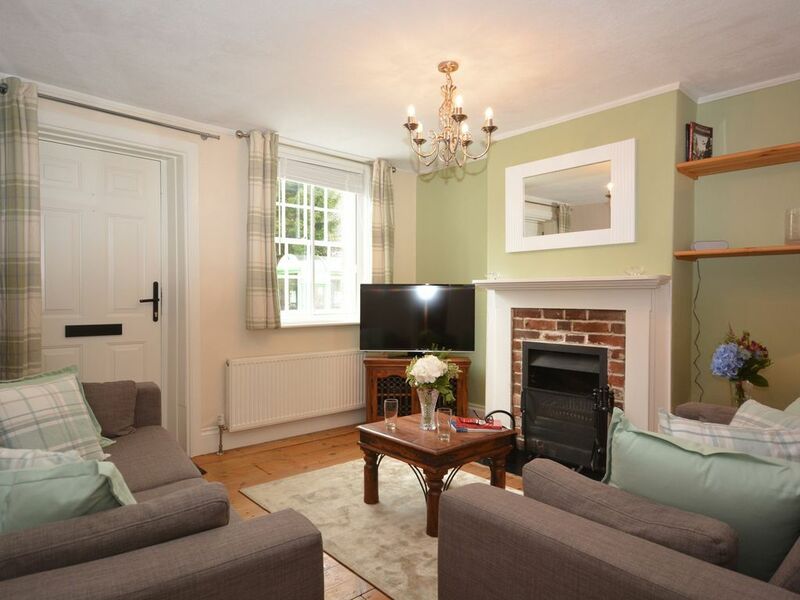 PERIOD COTTAGE WITH ENCLOSED COURTYARD GARDEN IN CENTRAL LOCATION SLEEPS 2 2 This red brick Victorian property forms part of an historic conservation area at the heart of Winchester with the mainline train station just 300 yards. Lovingly fitted and furnished and with a number of original features it provides a great opportunity to experience this cathedral city. The city itself has topped the Sunday Times Best Places to Live guide in 2016 and perfectly placed on the edge of the South Downs National Park it s very easy to see why. Renowned for hosting the country s largest farmers market being the birthplace of the modern game of cricket and as the resting place of author Jane Austen there is something for everyone. Spend a day exploring the bustling shopping streets eleventh century cathedral and ruins of Wolvesey Castle or stroll along the Water Meadows and then enjoy a drink and meal in one of the many bars traditional pubs and restaurants. Other attractions in the area include the Science Centre and Planetarium and Marwell Wildlife Park. The accommodation offers TWO bedrooms: 1 king-size with smart TV and 1 single with additional single pull-out bed. Shower room: with shower and WC. Lounge: with smart TV & DVD open fire and Bluetooth speakers. Dining room with door to the garden and stereo. Kitchen: with electric oven and hob microwave and fridge/freezer. Washing machine in the basement. Outside: enclosed courtyard with decked area garden furniture and BBQ. Amenities: parking permit provided for 1 car further by arrangement. Bed linen towels electric central heating and Free WiFi included. Regret no smoking. 1 dog welcome. Location: pubs shops and restaurants within walking distance. This cottage was in a great location and had everything you would need. There was a lovely gift basket with wine, bread, coffee and jam as well as butter and milk in the refrigerator. The owner was great to work with and very accommodating! Lovely little cottage, home from home. Lovely welcome basket fresh bread,coffee,milk and a bottle of wine 😊.